One of the most charming and critically acclaimed films of 2003, the New Zealand hit Whale Rider effectively combines Maori tribal tradition with the timely "girl power" of a vibrant new millennium. Despite the discouragement of her gruff and disapproving grandfather (Rawiri Paratene), who nearly disowns her because she is female and therefore traditionally disqualified from tribal leadership, 12-year-old Pai (Keisha Castle-Hughes) is convinced that she is a tribal leader, and sets about to prove it. Rather than inflate this story with artificial sentiment, writer-director Niki Caro develops very real and turbulent family relationships, intimate and yet torn by a collision between stubborn tradition and changing attitudes. 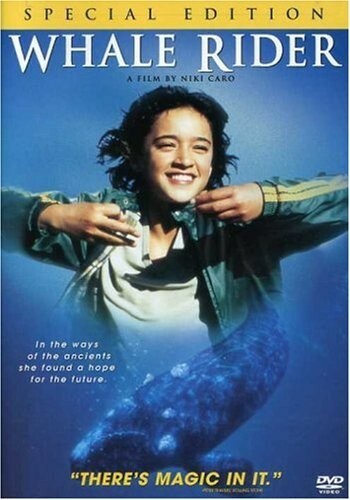 The mythic whale rider -- the ultimate symbol of Maori connection to nature -- is also the harbinger of Pai's destiny, and the appealing Castle-Hughes gives a luminous, astonishingly powerful performance that won't leave a dry eye in the house. 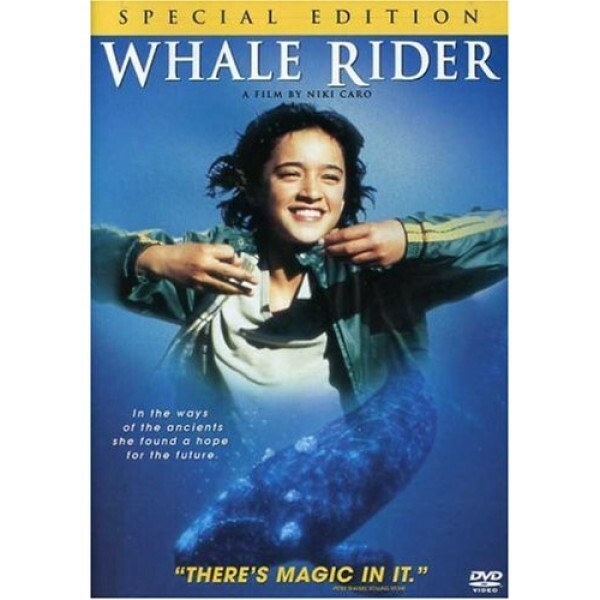 With its fresh take on a familiar tale, Whale Rider is definitely one from the heart. For more films starring Mighty Girls, visit A Mighty Girl's Movie section. Whale Rider is set in the Maori community of New Zealand. According to legend, the Maori came to Whangara when their great leader Paikea led them by riding on a whale. Ever since, the Maori have been led by the descendants of that leader. The movie begins with the birth of twins, the latest in that line. But the boy twin and his mother die. Over the objection of the current leader, Koro (Rawiri Paratene), the girl twin is named Paikaea. Her heartbroken father leaves New Zealand, and Pai is left to be raised by her grandparents.